Epiphany - Jill Ruth & Co. They kept their eyes on the star. Beautiful display! 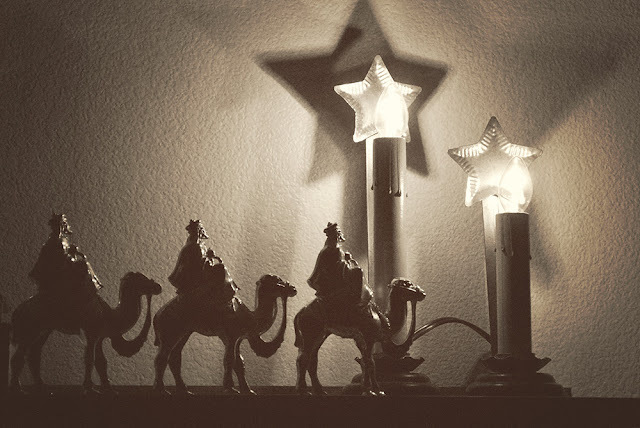 I can never remember the date of the Epiphany-- I always think it's the 11th. "Wise Men Seek Him Still".